DNC says back-and-forth among staffers over whether the party should mark Holocaust Remembrance Day was “insensitive”. A back-and-forth among Democratic National Committee staffers over whether the party should mark Holocaust Remembrance Day was “insensitive,” the DNC said. 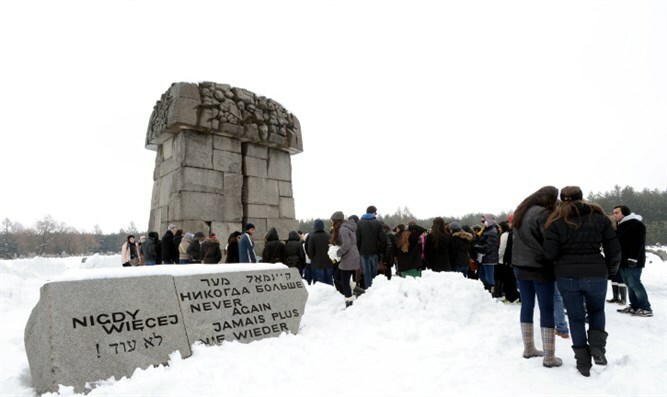 "The DNC joins with our constituents to commemorate many holidays and we did the same with Yom Hashoah as well,” a DNC official told JTA on Wednesday, emphasizing that the DNC had gone ahead and marked the remembrance, despite the email exchange between the staffers. “The comments by the DNC staffer about the process were insensitive and we have already apologized this week for inappropriate comments made and discovered in these emails,” the official said. The staffers, writing on May 5, questioned then-chairwoman Debbie Wasserman Schultz’s request for the group to put out a statement in honor of Holocaust Remembrance Day, leaked emails show. Wasserman Schultz is Jewish. In the email chain released as part of the batch of hacked DNC emails dumped last Friday by WikiLeaks, a staffer wrote that a statement marking the day was unnecessary. The email dump revealed that the DNC had discussed ways to undermine the underdog campaign of Vermont Sen. Bernie Sanders challenging Hillary Clinton, who eventually won the nomination. One of the emails suggested questioning Sanders’ belief in God and commitment to his Judaism.